Another monster CPU from AMD, 64 core form of AMD's cutting edge 7nm based EPYC Rome server processor benchmark which was posted at Chiphell gatherings is apparently from a cutting edge 7 NM. It will be out in 2019 for data centers and demonstrates to us the mind boggling performing various tasks CPU execution which the new lineup would have. 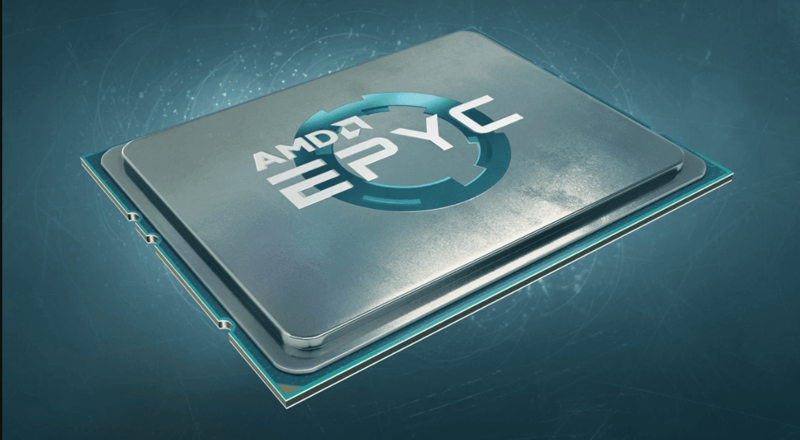 AMD has been harming Intel in all the privilege places in the most recent two years, yet the cutting edge EPYC 'Rome' processor is set to end up something really unique in 2019 where it will set the server world ablaze. The benchmarks affirmed to be from the chip were posted over at Chiphell, and the outcomes are professed to be from a building test Rome server processor. AMD has already affirmed it would test Rome in the second 50% of 2018. You can see the benchmark results underneath; the execution is great, if precise. While the name of the processor in the benchmark is scratched out, the outcomes demonstrate extremely great Cinebench R15 multi-string execution of 12,587. To analyze a standard Ryzen Threadripper 2990WX score around 5,500 focuses in a similar benchmark. Intel Xeon X5650 running at 2.66GHz is piling on just 1,279 focuses on a similar test. An EPYC 7601 (32-center) processor scores around 6,000 focuses in this benchmark (simply under a large portion of the score of the new 7nm chip). At Computex 2018, AMD reported that they are examining the second era, 7nm based EPYC 'Rome' processors in 2H 2018. AMD's CEO, Lisa Su, even grasped a 7nm EPYC processor, displaying it to the group of onlookers. AMD's 2019 CPU family is intended to handle the Intel 10nm Ice Lake Xeons positively and things are looking great for AMD as their Rome CPU family may go up against Intel's 14nm++ server invigorated family, otherwise known as Cascade Lake-SP. Intel's Ice Lake-SP processors in light of 10nm process aren't required to touch base in the server Xeon space till 2020.